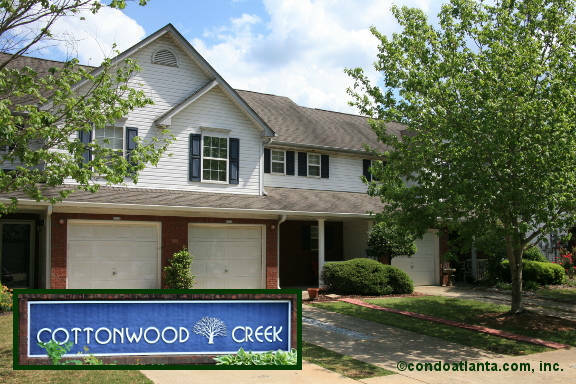 Cottonwood Creek is a lovely community of traditional townhomes (some feature Master on the Main floor plans) with garage parking. Enjoy all the benefits of a home located in Cherokee County steps to Cherokee Memorial Park with easy access to Marietta, Woodstock, Lake Allatoona, and the beautiful North Georgia Mountains. Golf enthusiasts will appreciate the short drive to The Golf Club at Bradshaw Farm, and the Woodmont Golf and Country Club. Commuters will appreciate easy access to I-575.